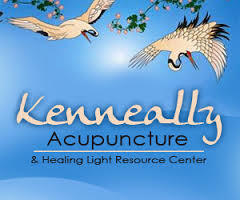 Kenneally Acupuncture is dedicated to serving the Santa Clarita Valley and the surrounding community for over 12 years creating a warm, caring, and healing environment with the highest quality of holistic healthcare. After receiving her master’s degree in Oriental Sciences, Kathleen Kenneally completed advanced training in Classical Five Element Acupuncture and became a Reiki Master Practitioner, Licensed Acupuncturist and Herbalist. Acupuncture stimulates endorphins, neurotransmitters, enzymes, hormones that can restore body’s self-healing mechanism resulting in physiological and emotional balance. It also helps with muscle relaxation, blood circulation and vitality keeping body and mind unified. The World Health Organization(WHO) announced, Acupuncture is an effective way to treat many health conditions like muscle pain, respiratory issues, digestive disorders, headaches, gynecological issues, emotional and psychological issues. Incorporating traditional Chinese medicine and creating a treatment plan specific to individual needs, Kathleen Kenneally provides effective treatment in many medical and surgical disorders. Whether it’s massage or crystals or guided imagery, the well-trained team of healing professionals at Kenneally Acupuncture, deliver exceptional treatment to their clients. They stimulate the specific acupoints along with the skin by application of heat, pressure, and more commonly used penetration of thin needles which is a traditional Chinese method of treating a range of conditions. They also offer treatment plans for various health conditions like allergies, infertility, chronic/acute pain, emotional balancing, facial rejuvenation, stress relief and Seasonal Balancing treatments ensuring health and well being of clients. If you have a weakened immune system, build up of toxins in your body from unhealthy dietary and lifestyle choices, or you are more prone to allergies, you can trust Kenneally Acupuncture to provide Seasonal Balancing treatments that helps the body transition between the seasons. Kathleen Kenneally has been voted the best acupuncturist in the SCV and has been working with patients for the past 10 years, treating clients from chronic medical conditions with patience and care.